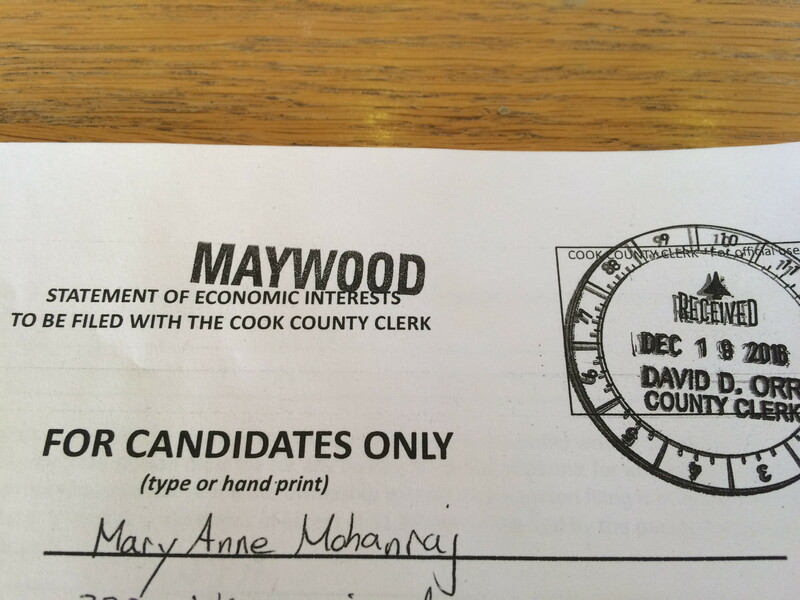 I’ve filled out my statement of economic interests and filed it with my petitions (due by 5 today), so I am now officially on the ballot for library board trustee. 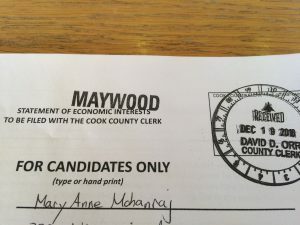 Trump must have filled out a similar form at some point in the running for president process, and I do not see how he can reconcile refusing to put his assets in a blind trust with his signature on that piece of paper. Whatever else you think of him, the man is now forsworn. It makes me angry. I’m going to need some anger to fuel me; they told me that there are now nine candidates running for the four slots for library board, so this is actually a real race now. (The village clerk seemed surprised — apparently this is an unusual level of civic participation.) I’m going to take this week to be with family and enjoy the holiday, and then come back on December 27th, ready to open a new bank account, set up a campaign committee, start fundraising and planning how to win this race, precinct by precinct. At yesterday’s party, I was surprised by how many people thanked me for running for office, and said that they would support my campaign. So much frustration and energy in the air, looking for the right channels to pour into. I’m going to need that support, it looks like! Onwards.